Solgar Oceanic Silica provides elemental silicon necessary for joint flexibility, ion rebalancing,and hair, nails and skin regenerating. 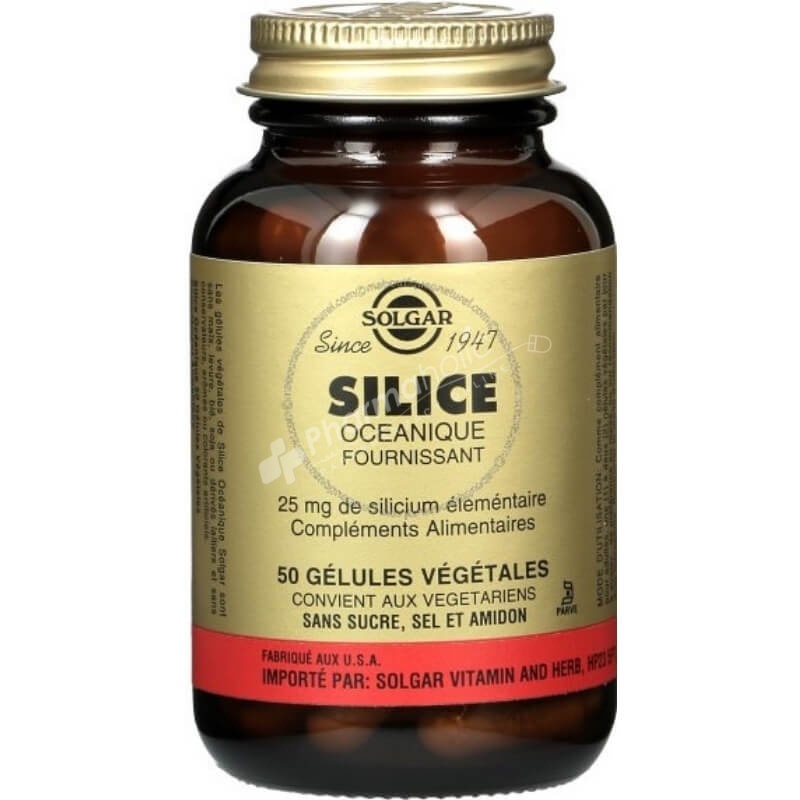 Solgar Oceanic Silica is obtained from marine-derived Red Algae Powder (Lithothamnium coralloides) is a source of the natural trace element silicon. Silicon is found in many unrefined grains and in some seafood sources, including mussels. Silicon intake has been positively associated with bone health. Silica is a trace mineral. The functions of silica are understood to play a role in making and maintaining connective tissue. Silica is present in areas of bone that are undergoing mineralization, which indicates this mineral might be important for normal bone function - other uses being in utilising minerals into skin and hair. Silica (from Red Algae Powder [Lithothamnium calcareum]) 54mg, providing 25mg elemental silicon. Encapsulated with these natural ingredients: microcrystalline cellulose, hydroxypropyl cellulose, silicon dioxide, magnesium stearate. Vegetable capsule shell: hydroxypropylmethyl cellulose.